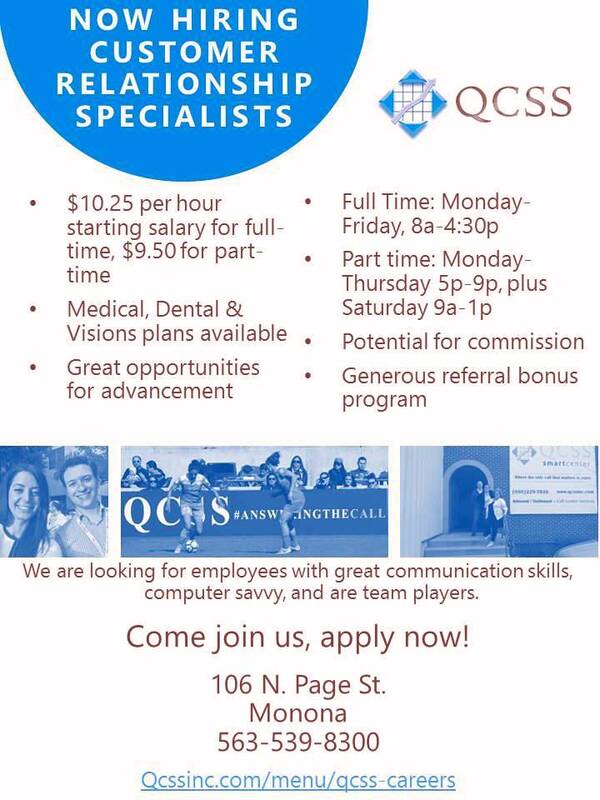 QCSS, Inc. (Quality Customer Service & Sales) - Monona Chamber & Economic Development, Inc.
​"Quality Customer Service & Sales"
​PRESS PLAY (triangle below) to hear our latest radio ad looking for great employees like YOU! Since 1988, QCSS, Inc./Greene ("QCSS") has been the “go-to” telesales resource for the publishing / content / media world. 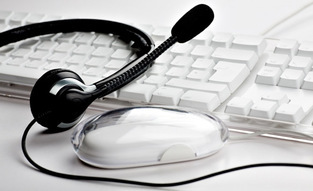 Quality Customer Service & Sales has been nurturing relationships with our call center & telemarketing services. QCSS has built some of the most advanced Smart Centers in the world: Complete Customer Engagement Centers. 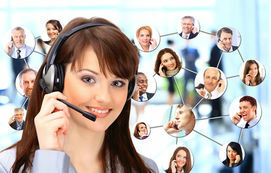 As a United States call center & telemarketing firm, we have multiple locations in the Midwest. 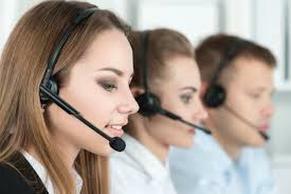 Employing U.S. agents only, QCSS has extensive experience in both Business to Business (B2B) & Business to Consumer (B2C) markets to be your primary telemarketing solution. CONTACT US today to learn more about QCSS' full spectrum of services ready to HELP YOU GROW YOUR BUSINESS. Our friendly, caring QCSS, Inc. managers work diligently to hire and train professional, high-quality individuals to work in our team environment and grow with us. We work hard, but we have fun, and celebrate together our successes, birthdays, etc. Please see our employment ad on this website. Across the globe Women Owned businesses supply an incredible range of products sold in retail stores everywhere. Women Owned is an initiative to enable consumers to identify those products supplied by Women Owned businesses during their shopping experience. Any product that bears the Women Owned logo is produced by a company that is owned and operated by a woman or women, as certified by the Women’s Business Enterprise National Council (WBENC) in the United States and WEConnect International globally. QCSS understands the metrics necessary to deem your publishing / content / media projects profitable. But don't just take our word for it . . .